Hey, thanks for the mention! I’m proud of my status as muckraker, but I can’t divulge the identity of my source for the dredging permits. Let’s just say I have contacts high up in the sea-monkey world. So much corruption, I am a little disturbed how much our brains think alike. What are your thoughts on cement bricks as replacements for family members? Or failing that as suitable weight to hold the recently deceased drug dealers that a certain member of family insists on bringing round often even though she’s not sleeping with them, honest, at the bottom of the local river? Wow. That was a bit wordy. Cement bricks would be much better company than several of my relatives, and a tad more intelligent. I wish I could dispose of a few family members with a quick swipe of the paw. Sea-Monkeys are neither clever nor dexterous. But they’re still better than your family. I wonder when you have met my family, but you are scaringly right. Sea-Monkeys are definitely not label conscious. In fact, they don’t wear clothes at all. I’m so glad you didn’t monkey around with this post. I never joke about brine shrimp or their relation to other forms of bottom feeders. Because really. What’s to joke about. Mustard in the fish tank. That’s quite a vision. That’s a really bad mix. Funny post. There’s some really bad DNA involved. LOL, great post! I was actually just contemplating sea monkeys and longing to replace my extended family with them. You are quite right, it is not even a question anymore. 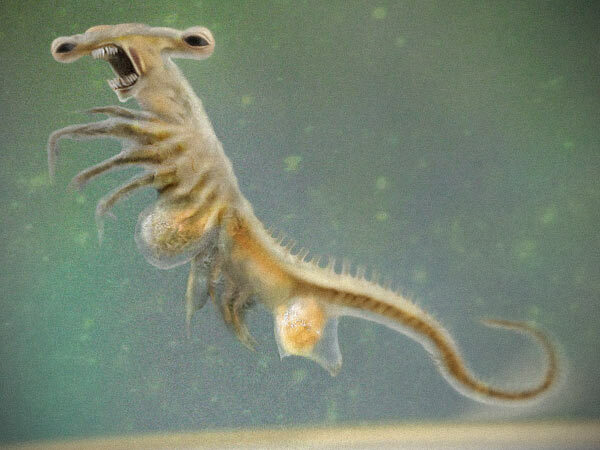 Sea monkeys are clearly an improvement over extended family. The post practically wrote itself.